Workshop on Know your Persona, What You are? Why You are? What you want to be ? 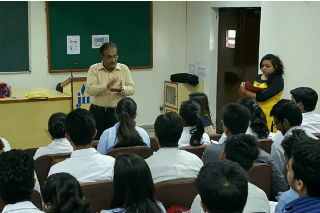 A special workshop for BBA-I Year(IInd Shift) and BCA-I Year(Ist Shift) was organized by H.R. club (Smanvya) JIMS team on “Know your Persona, What You are? Why You are? What you want to be ?” on 17.09.16. The key speaker Prof. S.C. Kapoor explain the student to understand their own self first before working for long term. The students were given exposure to basic routine understand their persona, its strength, weaknesses opportunities and treats. The seniors from PGDM General students conducted live exercises for the participants to create enthusiasm and real innovative platform for learning. The enthusiasm & participation of the students was quit visible till last. They felt the session to continue for more time . Students has shared their learning for the workshop also particularly the video clipping shared from Bollywood. 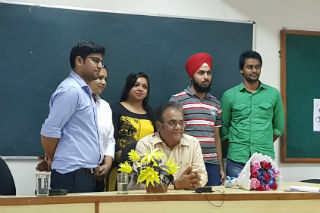 The Programme was conducted under the mentorship of Prof. S.C. Kapoor and mentees.